Here’s how to remove barriers that keep you from getting a great night’s sleep! Sleep is one of the most important parts of taking care of yourself, your body and your long term health. Each age group and gender have their own specific needs but in general eight hours of sleep a night should be what you are aiming for. Sleep allows your body to wind down, restart and take time for you and your muscles to truly relax. If you do not get enough sleep, then you will not wake up feeling rejuvenated and refreshed and that typically leads to a less productive, and overly sluggish day. If you have not been sleeping well, then maybe it is time to check out these tips from Sleeping Culture that will get you sleeping sooner and more soundly. One of the first things you should try doing to change the way you sleep, is by setting a fairly strict sleep schedule. Make sure that you at least try to get into bed and fall asleep around the same hour each night. This will train your body to become tired at the proper time each night and will make it easier for you to fall asleep. This will also cause you to wake up around the same time each day as well. Another important step to take is to bring up these issues with your doctor to rule out any underlying sleep disorder. 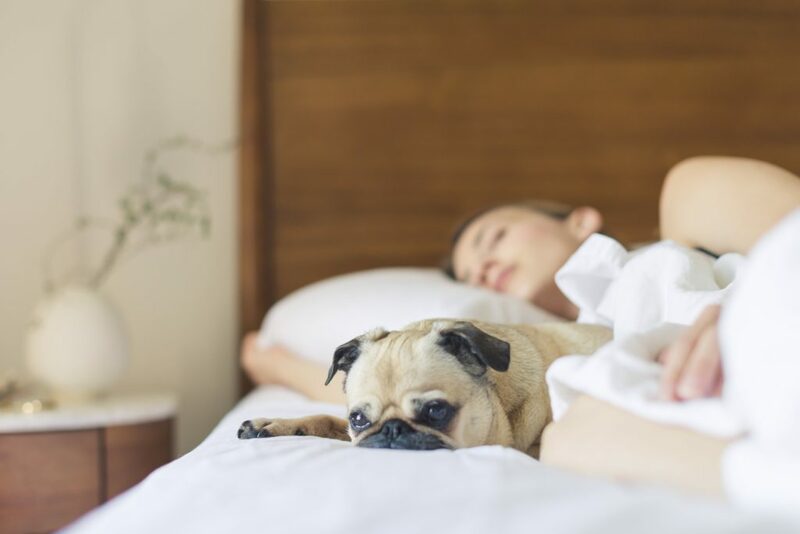 Insomnia is caused by a variety of things, and can often be helped if you make some lifestyle changes, but sometimes here are more serious issues that need to be addressed. Do not jump to taking sleep aids immediately, without first consulting a healthcare professional. Take a trip to your doctor and listen to what he or she prescribes you to do, whether that is to take a supplement or just to make some changes, and begin taking those changes in your lifestyle seriously. Late night snacks may sound good at the time, but you should be careful which foods you are eating before bed. Avoid high-fat foods that are slow to digest and eat only a light snack, such as half of a turkey sandwich on whole wheat or a piece of cheese with 2-3 whole grain crackers. Give yourself at least 3 yours before your last meal and bedtime. Your bedroom needs to not just be your bedroom but the perfect environment for you to fall asleep in. This means you should have a comfortable bed and pillows as well as leave the room at a cooler temperature so that you do not wake up with night sweats. Going along with creating the perfect sleep environment, you should remove all of the distractions around you before you go to bed. Turn the TV off, ignore your phone, and do not do any work directly before going to sleep. Use the time before bed to get ready for optimal sleep, not worrying about family, work deadlines, or how you’re going to tackle everything you need to do the next day. While you should cut out the distractions, reading a book before bed may actually help you to fall asleep faster. Reading the book keeps you occupied but also makes your eyes tired at night and helps you to calmly relax without distracting noises and lights. The artificial light and sounds from the TV will actually trick your brain into thinking it is the middle of the day rather than late at night. What you watch on TV can actually negatively impact your quality of sleep. Going along with not watching TV, turn your phone off, on silent or on “do not disturb” so that you are not constantly ripped from your relaxation. The messages may even be a bit worse because they keep your attention focused on responding. Though some think that wine makes them sleepy in the evenings, it has been shown that alcohol actually makes it harder for you to stay asleep in the evenings. Alcohol actually decreases time in REM sleep, the deep, restorative sleep your mind and body need every night for optimal health. Tis one seems pretty obvious and you probably are not reaching for an espresso in the evenings, but there are lots of foods and drinks with hidden caffeine. Decaf coffee has enough to keep you awake, and chocolate and ice cream are also packed with caffeine and sugar that keep you awake. Make sure your mattress is comfortable with you and that you are not tossing and turning on a mattress that is uncomfortable for you. It is a big cost to pay for a new mattress but if you are serious about your sleep, then it is worth the payment. Similar to having a good mattress, you should be sleeping on pillows that are perfect for your individual self. Not everyone sleeps on the same kind of pillow, so decide if you want a soft or firm pillow, and it is suggested to have a memory foam pillow. Though you may not be big on holistic health, essential oils are actually a great, natural way to get you to sleep without becoming dependent on a pill. You can diffuse essential oils in your room that promote relaxation and better sleep. Avoid the artificial lights in your room during bed time as much as you possible can, meaning to turn off the electronics. You should also try to wake up with the sun as best as you can, rather than a loud alarm. After your evening meal, consider taking a short walk to burn some of the energy you are feeling. This will get your oxygen pumping and help you get to sleep faster and sleep more soundly. This article is sponsored by sleepingculture.com.